With Sixt car hire deals in Brazil you can really make the most of this fascinating country whether travelling for business or leisure. We back up your choice of rental car with affordable rates and superb customer service. Our premium fleet has the perfect car rental in Brazil for you, from the strictly economical to something luxurious. Read on for some useful driving and travel hints for your Brazilian adventure. With nearly sixty car hire in Brazil branches a great start to your visit is guaranteed. We can be found at major airports and train stations as well as at hotels and in city centres. Straightforward booking systems make it easy to rent a car in Brazil and should your plans change, cancellations are often free of charge. Take a look at the map above to see which cities and attractions to head for with your car hire in Brazil. Sixt car hire in Brazil is supplied by well-known brands such as BMW, Mercedes-Benz, Jaguar and Audi. 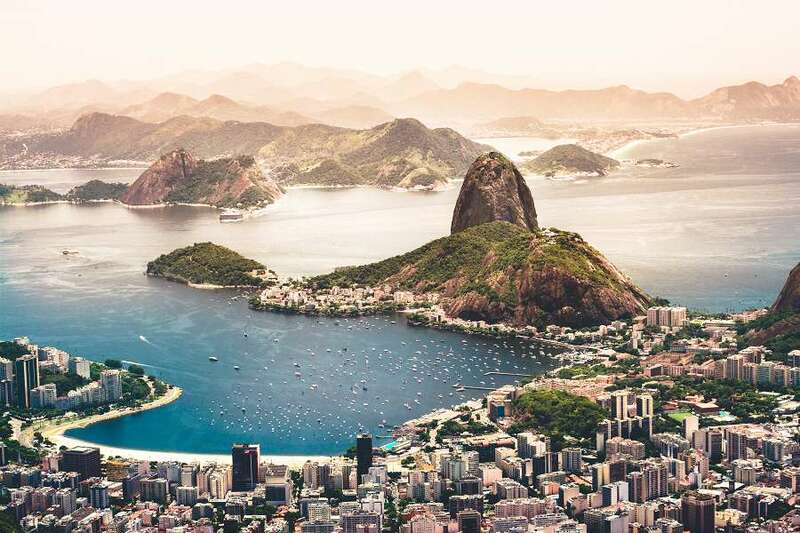 Our bookings page lets you rent a car in Brazil with automatic transmission as well as select one-way rentals and optional extras such as child seats. Which car rental in Brazil is right for me? Compact vehicles are perfect for major cities. Enjoy motorway cruising and weekend breaks in comfortable saloons. Spacious estates and 4x4s take five people and their luggage. Explore stunning coastlines in luxurious sports cars or convertibles. International driving licences are accepted in Brazil. If in a non-Roman alphabet they must be accompanied with an International Driver's Permit (IDP) available either online or from Post Offices in the UK. Your licence must be accompanied with photo ID and where required an entry visa for Brazil. The minimum age for driving a Sixt car hire in Brazil is 19 with a licence held for a minimum of 2 years. Surcharges apply for drivers under 21. Full details can be found in our booking engine. Pay for your car hire deals in Brazil with any major credit card, which must be in the driver's name. Prepaid or debit cards such as VISA Electron are not accepted. The police should be called to any accident no matter how minor. Our telephone hotline is +55-1123778686 while emergency numbers are 191 for police and 192 for medical assistance. With the largest road network in Latin America a rental vehicle is almost essential for exploring the country's contrasting scenery. Major motorways and coastal roads are generally in good conditions and signs follow international conventions. Some journeys into the interior, however, need careful planning as road surfaces are variable. Avoid driving in the Amazonian Rainforest regions in the wet season of November to March. Drive with caution at all times as locals have a creative approach to traffic regulations and in rural areas keep an eye out for animals on the road. Drive on the right in Brazil and remember that Kilometres are used for distances and speed limits. Toll roads are being gradually introduced especially around areas such as Sao Paulo and Rio Janeiro. Cash or cards can be used for payment. Children under 10 are not allowed in the front of vehicles. We recommend appropriate seats for all children. Driving in flip flops or shirtless is illegal. Parking is widely available and ranges from being free to purchased parking cards and secure valet parking. If your rental vehicle is damaged by being driven off paved surfaces you will be charged for repair costs. On-the-spot fines in Brazil are technically illegal but for tourists, these are often pushed rather than a lengthy wait at police stations. There is a growing intolerance of drink driving. Named after a champion of anti-slavery, the Dragao do Mar Centre of Art and Culture is a huge landmark building with a domed roof covering its ultra-modern planetarium. With its beautiful Art Nouveau glass buildings and immaculate French-style gardens, the Jardim Botanico Fanchette Rischbieter in Curitiba provides a tranquil day out. Lying next to the waterfront at Pier Maua in Rio de Janeiro the Museum of Tomorrow is a Neo-futuristic design by Spanish-born Santiago Calatrava. Its soaring canopies cover five science and environmental areas. In contrast, the Penha Convent dates back to the 16th-century and sits on a hilltop overlooking Vila Velha. As well as a pilgrimage destination it is also one of the main recreational spots in the state of Espirito Santo in South East Brazil. Manaus is the perfect starting point for exploring the flora and fauna of the vast Amazonas state. 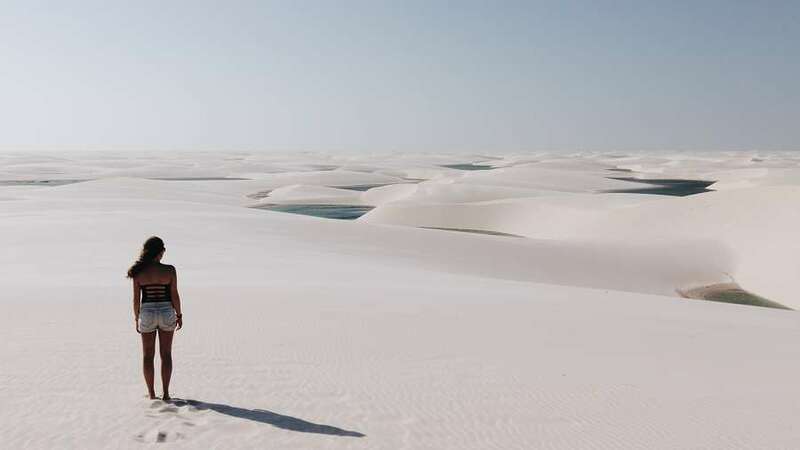 Lying on Brazil's North Atlantic coast near Barreirinhas the Lencois Maranhenses National Park is a protected ecosystem of desert-like sand dunes, seasonal lagoons and mangrove swamps. In the central Brazilian state of Goias is the Chapada dos Veadeiros National Park known for its dramatic canyons and beautiful rock formations of quartz crystal. With stunning waterfalls, the park is home to a varied wildlife that includes toucans, armadillos and jaguars. 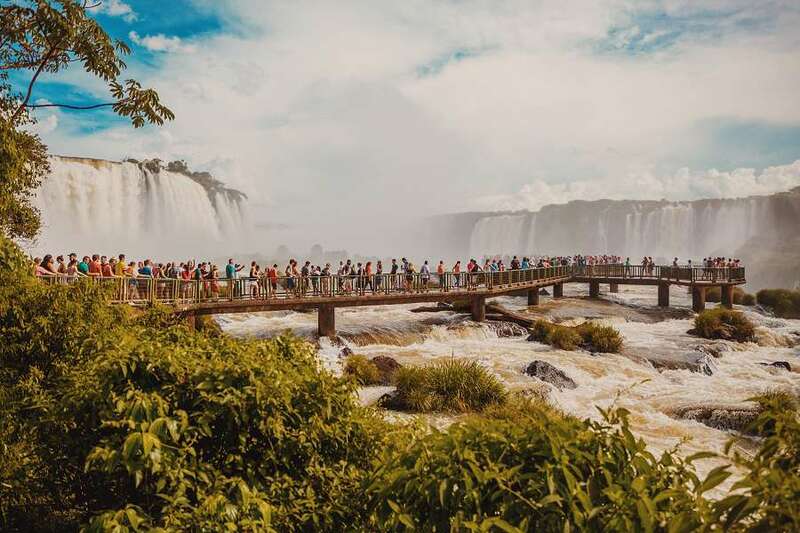 The Iguacu Falls are the largest waterfall system in the world. They divide the upper and lower River Iguacu and lie on the border between the Brazilian state of Parana and the Argentinian province of Misiones. 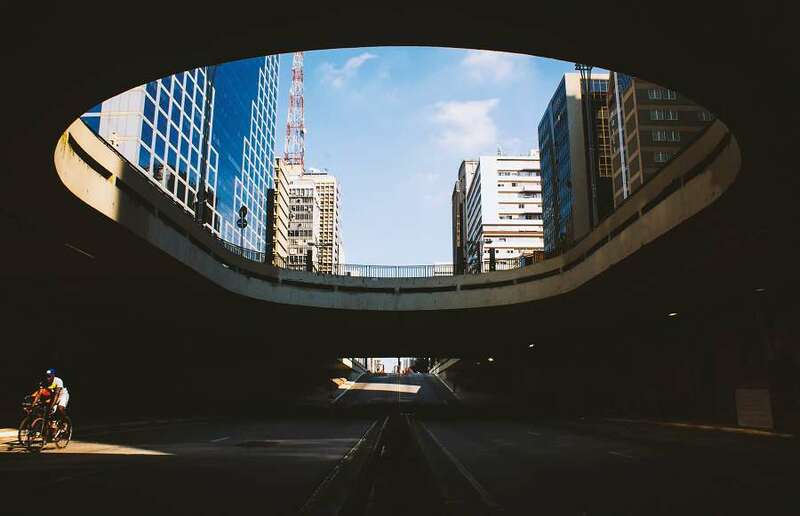 Brazil's magnificent cities and scenery lend themselves to film settings. The adventure horror Anaconda (1997) makes good use of the Amazon jungle while the 2006 horror film Paradise Lost (or Turistas) was set and filmed in the Chapada Diamantina National Park. Both City of God (2002) and The Twilight Saga: Breaking Dawn (2011) make use of Rio de Janeiro's streets while Blindness (2008) used locations in Sao Paulo. Cross border rentals are not allowed under any circumstances.